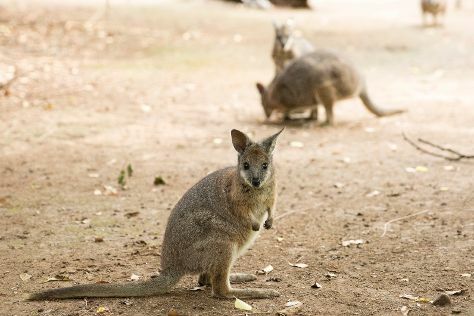 Kids will appreciate attractions like Adelaide Zoo and Cleland Wildlife Park. Go for a jaunt from Adelaide to Hahndorf to see The Cedars about 30 minutes away. Dedicate the 23rd (Mon) to wine at some of the top wineries in the area. There's lots more to do: take in nature's colorful creations at Adelaide Botanic Garden, stop by Unique Opal Mine Pty Ltd, test your team's savvy at popular escape rooms, and get engrossed in the history at Migration Museum. To see ratings, where to stay, photos, and other tourist information, read Adelaide online trip maker . Kolkata (Calcutta), India to Adelaide is an approximately 18.5-hour flight. Due to the time zone difference, you'll lose 4 hours traveling from Kolkata (Calcutta) to Adelaide. In December, plan for daily highs up to 30°C, and evening lows to 17°C. Cap off your sightseeing on the 25th (Wed) early enough to travel to Port Lincoln. Kids will enjoy Shark Diving and Sleaford Bay. Step out of Port Lincoln to go to Coffin Bay and see Food Tours, which is approximately 34 minutes away. Next up on the itinerary: enjoy the sand and surf at Fishery Bay, go for a walk through Parnkalla Walking Trail, cruise along Winter Hill Lookout, and see the interesting displays at Axel Stenross Maritime Museum. Quickly create a custom-made itinerary for Port Lincoln using our trip planner. You can fly from Adelaide to Port Lincoln in 2.5 hours. Alternatively, you can do a combination of car and ferry; or do a combination of bus and ferry. Cap off your sightseeing on the 29th (Sun) early enough to travel to Kangaroo Island. 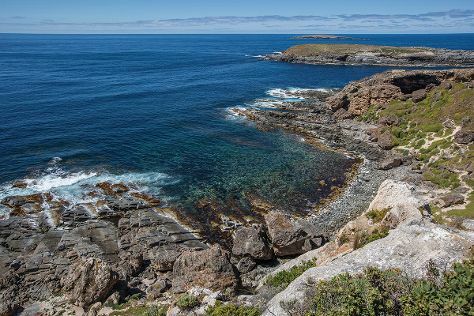 You'll visit kid-friendly attractions like Flinders Chase National Park and Seal Bay Conservation Park. There's still lots to do: identify plant and animal life at Raptor Domain, brush up on your knowledge of spirits at KI Spirits, stroll through Kangaroo Island Wildlife Park, and admire the natural beauty at Kangaroo Island Spirits. To find where to stay, other places to visit, traveler tips, and more tourist information, you can read our Kangaroo Island itinerary site . Fly from Port Lincoln to Kangaroo Island in 4 hours. Alternatively, you can do a combination of car and ferry; or do a combination of bus, ferry, and taxi. Cap off your sightseeing on the 2nd (Thu) early enough to travel back home.